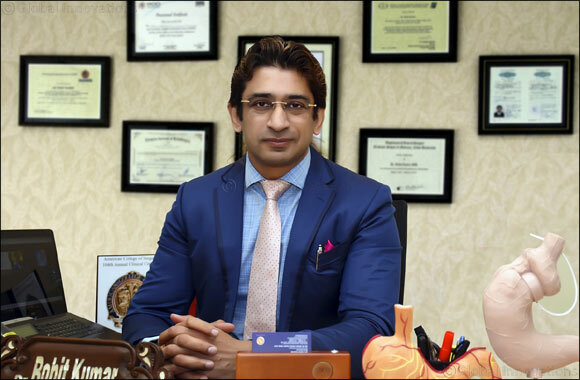 Dubai, UAE, January 15, 2019: Great leaps in medicine and science coupled with breakthrough technological innovations have made the treatment options for thyroid diseases less invasive. In fact, newer treatments like endoscopic thyroidectomy is now being presented as a treatment that is minimally invasive and with lesser complications to deal with. The minimally invasive surgery leaves minimal scars as it employs the principles of natural orifice transluminal surgery (NOTES) to achieve a scar-free condition post-operation. Endoscopic thyroidectomy has been performed worldwide since the late ‘90s. In 1996, the first endoscopic parathyroidectomy procedure was conducted, leading to the advent of minimally invasive neck surgery. While open thyroidectomy leaves the patient with a big scar in front of neck, it involves a great deal of dissection as opposed to the transoral approach, which involves minimal dissection. As a result, the latter leads to decreased post-operative complications. Endoscopic thyroidectomy via an axilla and breast approach has been deemed to be safe and feasible. The procedure covers the rendering of a five to ten millimeter incision on the axilla and the breast. Medical experts have described the procedure as a minimally invasive surgical method for thyroid diseases that usually yields good post-operative results. In addition, the procedure is expected to find a role in the treatment of nodular thyroid disease resulting in excellent cosmetic outcomes. Post-surgery scar is one of the key concerns of patients with thyroid swellings. Some patients are reported to suffer from low self-confidence, with others shunning social activities, because of the visible scar left by the procedure in the body. Dr. Rohit said the transoral technique aims to address this concern and provide new hope to patients.